Grammy-winning British pop singer Sam Smith joins the parade of stars booked for 2018 concerts in the Twin Cities. He’ll perform Aug. 14 at Xcel Energy Center. He will release his sophomore album, “The Thrill of It All,” on Nov. 3. He is set to appear on “Saturday Night Live” this weekend. His North American tour will start in June in Toronto. 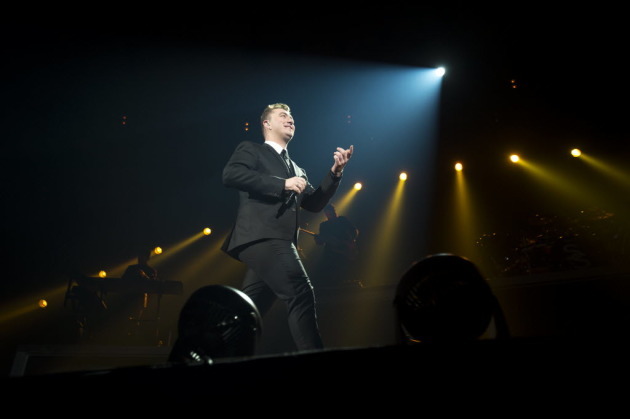 There will be a pre-sale for concert tickets, starting at 10 a.m. Oct. 11 at samsmithworld.com. The public sale begins at 10 a.m. Oct. 12 at the same website. Prices haven’t been announced but online ticket orders will include a copy of the new album. Several other stars, including Ed Sheeran, Harry Styles and Pink, have also announced Twin Cities concert for 2018.